Mason, OH – April 5, 2018 – Timbelo Inc., a WBENC and WOSB Certified, diverse supplier announces new focus for 2018 following the sale of two divisions. Timbelo empowers organizations to achieve their goals for success through solid strategic advisory services. Founder, CEO, and President, Barbara E. Hogan, successfully launched Timbelo Inc. in 2017 as an IT firm specializing in acquisition, recruiting, and consulting. Timbelo was created in response to the question, "Why can't we bring integrity to the IT industry"? In Q1, 2018, Timbelo was given an offer they couldn't refuse for the procurement and recruiting divisions of the business by Afidence, a local IT company. The acquisition was a perfect fit for Afidence and has allowed Timbelo Inc. to evolve into the strategic-based solutions company it was meant to be. "After all," Hogan continues, "Our story is your story . . . our client's success is our success." As a locally recognized female leader, 2015 Women of Influence Honoree and 2016 Esprit de Corps Award recipient, Barbara Hogan is available as a panelist, facilitator, moderator, and speaker. She conducts interviews for the EO Cincinnati/Small Giant Executive Breakfast Series where authentic local business success stories are shared in an audience Q&A interview venue. Timbelo Inc. is a certified, 100% women-owned, diverse supplier providing strategic advisory services. The company’s goal is to ensure their clients success through empowering solutions. Headquartered in Mason, Ohio, Timbelo also has satellite offices in Cincinnati and Miamisburg, Ohio. 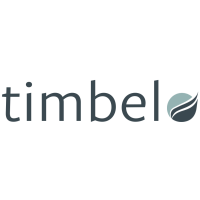 To learn more about Timbelo, please visit our website, www.timbelo. com or contact us at info@timbelo.com.